Do you need great birthday parties ideas for Adelaide? 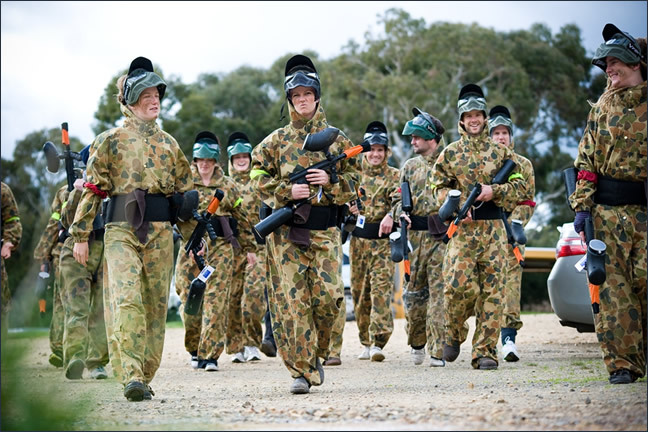 Celebrate your birthday with a paintball gun in your hand at Adelaide’s most popular paintball park, Paintball Sports. What a great way to start your Birthday celebrations. And don’t be afraid to wear your Birthday Suit! A paintball session before you party will give you all plenty to talk about as you relive your battlefield glories. It’s so easy to organise these fun birthday parties events. Just book online now to select the date you want, and then spread the word around about the big day. Paintball Sports can be booked out weeks in advance, so get in early if you want to book us for birthday parties. 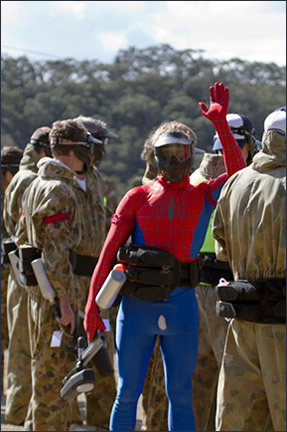 Paintball Sports offers the most exciting and unique birthday parties activities around Adelaide. And as the organiser you (or the birthday boy/girl) can get to play free of charge!